If you want to have a great music career, a good place to start is to learn the basics of a guitar. If you want to know the chords and play actual music, you can consider getting a guitar teacher. Read more about guitar chords in this link here. A great guitar teacher has a lot of ways in helping a student become better. You could learn the basics in just a few hours when you have a teacher compared to doing it on your own. Your progress will be rapid, and you will play the guitar in the right way. GuitarTricks is a fast, fun, and easy way to learn the guitar. They boast a Core Learning System where their students can make music even from the very first day. You can follow a step-by-step system that is organized and has interconnected lessons. Some of the lessons have a lot of guitar tabs, camera angles, jam tracks and a lot of other tools that can help jumpstart your guitar playing. You can also benefit from the 60-day trial window, accomplished instructors, downloadable videos, and apps for mobiles. You can read more about GuitarTricks in sites such as https://www.bestonlineguitarlessonswizard.com/. These sites can provide a more comprehensive guide about these lessons as well as their pros and cons. 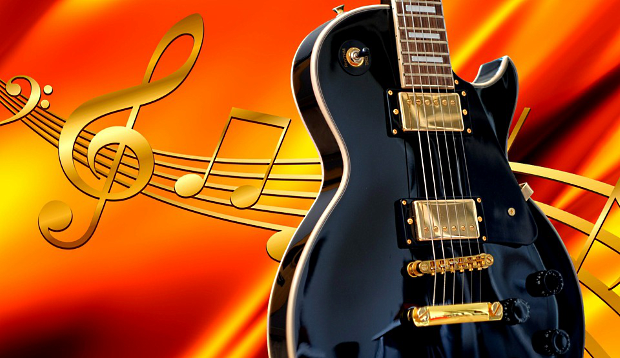 TrueFire boasts a lot of guitar styles such as jazz, rock, blues, classical, acoustic and country among others. They have learning paths, courses, lessons, jams, educators and classrooms available for each style. You can choose an instructor for a private lesson and each of them is well-equipped to teach you with techniques and methods. You can interact with your instructor through a lot of tools that are available as iOS applications such as charts, lesson plans, discussion threads, video messaging, tabs, notations, and jam tracks. The lessons comprise of 10 modules and they are arranged in chronological order. There's also a feature called “In the Jam” where guitar novices can get into jamming sessions with some of their preferred artists. Some of the benefits that you can get with TrueFire include affordable membership rates, money-back guarantee, over 140 certified instructors available, and interactive experience through videos. With JamPlay, you can learn beginner, advanced, acoustic, country, blues and a lot of other guitar lessons. There are a lot of guitar lessons published every 30 days and daily lessons are available for every student who wants to learn. You can join the JamPlay's community where thousands of members can give you encouragement and tips. There's a comprehensive chord library that contains over 950,000 chords. There's a scale library where you can view a comprehensive collection of guitar scales, famous solos, interactive videos, and more. All the lessons are filmed by professionals and all videos are in high resolutions. You can benefit from live classes, live video chats with your instructors, and the courses which are suitable to all levels of guitar players. This is considered as the social network of guitar novices regardless of their location around the world. You can make collaborations with other expert guitarists, share tips with newfound friends, watch video lessons at your own pace, and a lot more. 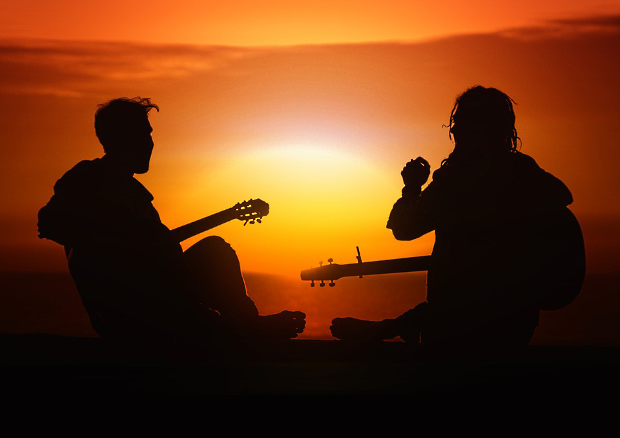 Jamorama can show you how learning the guitar doesn't have to be a lonely experience. The social feature can help you get motivated. On top of these, the courses that they are offering are all tested and proven to work for a lot of people. You can enroll in courses such as beginners, fingerstyle, speed picking, learning about chords, and a lot more. Read more about fingerstyle guitar here: https://en.wikipedia.org/wiki/Fingerstyle_guitar. You can print a lot of guitar lessons from your course which you can practice at your own convenience. Jamorama can give you a lifetime membership in less than a hundred dollars. You can have a dynamic learning experience with Jamorama compared to other sites. ArtistWorks is dedicated to providing every student with interactive and affordable access to guitar lessons all over the world. It can be considered as a one-stop shop where you can play electric guitars, bass, piano, and a lot more. There are specific instructors who can provide you with what you need. There are schools that focus on a single genre of the type of lesson that you want to learn. You can also gain access to a wide variety of eBooks and gain support from a lot of social media platforms. You can also record your own videos and send it to your instructor for review. The sites mentioned above are some of the best ones that offer affordable courses to their students. You have to pick the ones that have a lot of experience teaching beginner students. You can check each website's "About Us" section and courses in order to know more about them.